Built like a bull (and probably just as powerful!) our champion from Greece has remained at the very TOP of the Powerball World for over two years and is still the only man on the planet to have exceeded 16,500rpm on a Powerball! His massive arms and wrists allow him to churn out 15k after 15k score in rapid succession with hardly a change of expression on his face...the balls screaming in his huge hands like mini Formula 1 cars! Perfect co-ordination matched to that unrivalled strength means he can also achieve these 15k monster spins in both hands simultaneously...a truly phenomenal achievement! Never before and perhaps, never again, will there be a physique more superbly crafted with which to demolish the Powerball - Akis has clearly understood the secret of the splendid sphere and unlocked its potential for all to see with each mind blowing spin! detailing his various workouts which he employs on a daily basis. uncanny ability to regularly annihilate his scores. We've contemplated on just how far he might go with his spin speeds and are satisfied that the 20k mark will now be within his sights when the new lightweight metal appears with an exclusive new counter which has been calibrated to read at up to 24,000rpm as opposed to the 18500rpm on the normal versions - it will be a bold task and a truly mythical barrier to test but, for sure, there is no one on this earth more capable of smashing it than the big man from Athens! We spoke to Akis recently and asked him to detail for us his top tips for achieving those mega spins - recommendations and training guidelines that will definitely send you past the 14k mark and perhaps put enough wind in your sails to help you contemplate heading north of 15k some day..? You should always rotate your wrist and never your forearm. You should "listen" to the ball and try to be synchronized during the session, "following" rotor's rotation. You should not whisk it either faster or slower than it is "willing" to take. At very high speeds, there is no actual rotation of the wrist, but high intense "jolts". A very tight, "locking" grip should be established in order to reach really high speeds. 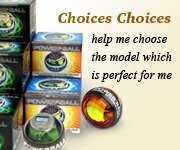 Repeated exercise with the NSD Powerball is absolutely necessary in order to improve your ability. You should not try only highest rpm sessions. Training under strength / endurance mode is essential. I would suggest you to use 30-sec and 60-sec sessions on one hand and 90-sec session on both hands (switching during session). Make sure to spin the rotor up to a sufficient level before resetting the counter. And don't think that you will improve by just spinning to a modest level (like 5000-6000 rpm). This is useful only for relaxation and rehabilitation purposes. In order to improve your strength and ability you must literally suffer!